India is one of the foremost automobile markets in the world. The car market here is huge, diverse and totally dynamic. Automakers have flooded the Indian car market with cars of all types and sizes in order to meet the demands of Indian customers who want the best when it comes to purchasing a car. Many more cars are still in the pipeline, waiting to be launched. Here is a segment wise brief on some of the possible new arrivals in the car market in the coming years. Hatchbacks have always seen high demand as these cars offer good mileage, space and decent comfort and are easy to handle and park too. A new Figo was also showcased at the 2014 Motor Show as the Ford Ka Concept hatch and is ready to hit Indian roads soon. Skoda is also planning to bring a new car into the hatchback segment named Citigo. Datsun Redi-Go is an entry level hatch which is expected to debut by late 2015. Tata Motors also has a car named Kite which can be expected by next year. It will be however placed in the premium hatchbacks segment. Sedans are also seeing high demand these days and there are many upcoming cars here as well. 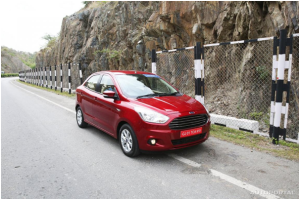 Ford Figo Aspire sedan will probably be the first one to be launched. Tata Motors will have a Kite sedan as well along with its hatchback. Another compact sedan Toyota Vios might also make it to India in the coming year. A much expected launch is the Hyundai New Tucson which is also known as iX35 in international markets. The premium sedans like Renault Talisman, Mercedes Benz C-class Cabrio and Jaguar XJ are also waiting to get launched here. The hottest SUV segment also has a long list of potential hits. Hyundai has already confirmed the launch of the Creta in few days. Maruti may release soon a compact SUV codenamed YBA. It is expected to be pretty affordable between Rs 5-8 lakhs. Chevrolet Trailblazer, with best-in-class engine power and high versatility will be launched in the second half of this year. The in-fashion compact SUV segment might see the launch of Volkswagen Taigun and Fiat Punto Abarth. Toyota is also planning to introduce one more SUV christened Rush and it is expected to be launched by early 2015. Posche Macan, Lexus, Audi A3, Lamborghini Huracan, Nissan GT-R, Rolls Royce Ghost series II, and Audi TT are some of the expensive premium cars slated to arrive in the country within 2016. Apart from these new names, most of the cars already popular here are ready with their face-lifted models and modified drivetrains too.